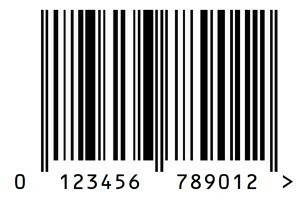 EAN Barcodes with free UPC barcode number. Barcodes sent instantly! Buy Barcodes that are perfect for listing your product for sale in online shops or standard retail shops. The numbers supplied will be unique, and never before used. No annual fees or hidden charges are payable. The Barcode numbers that we provide are perfect for use on online shops such as Amazon, Ebay or play .com. They are also perfect for standard retailers such as Halfords or even a local corner shop. The EAN barcode number will be available instantly as will the artwork. The UPC number will also be provided instantly. As standard the artwork is provided in jpg format. We can also provide it in eps format should you require it. If you require the artwork in eps format, or require the artwork for the UPC number please let us know via the Contact Us link. The more you order the cheaper the price per item! Buy Barcodes for instant delivery now!